Earlier this year, a rainbow of fresh, Michigan-grown carrots surprised children and delighted dining services staff at Battle Creek elementary schools. "Although they see carrots all the time, there were kids who had never seen the other part of a carrot," says Michelle Morrissey, dining services director for the Battle Creek Public Schools, about the leafy green stem that grows from the top. Students at Battle Creek Public Schools were delighted by the rainbow colors of Michigan carrots, and surprised by the leafy green tops. These kids, and their peers across the state, are likely to experience even more vegetables during the school year. An innovative and expanding farm-to-cafeteria food program is helping students in the Battle Creek Public Schools find their way to more nutritious food while helping Michigan farmers find new markets for their produce. The 10 Cents a Meal for School Kids & Farms program, which evolved from a 2010 pilot program by farmers and leaders in the Traverse City area, is being adopted in a growing number of Michigan school districts and will serve about 134,000 pre-kindergarten through high school students this academic year. They include students in Calhoun and 26 other Michigan counties. "I want more kids to eat fruits and vegetables," says Diane Golzynski, director of the Office of Health and Nutrition Services for the Michigan Department of Education. Locally-grown fruits and vegetables are typically fresher, healthier, "and the taste is better when it's local," she says. "The data showed us that the nutritional value of food that traveled a longer distance is lower than produce that's grown and harvested locally," says Golzynski, who is also a registered dietitian. 10 Cents a Meal for School Kids and Farms evolved from a 2010 pilot program by farmers and leaders in the Traverse City area. 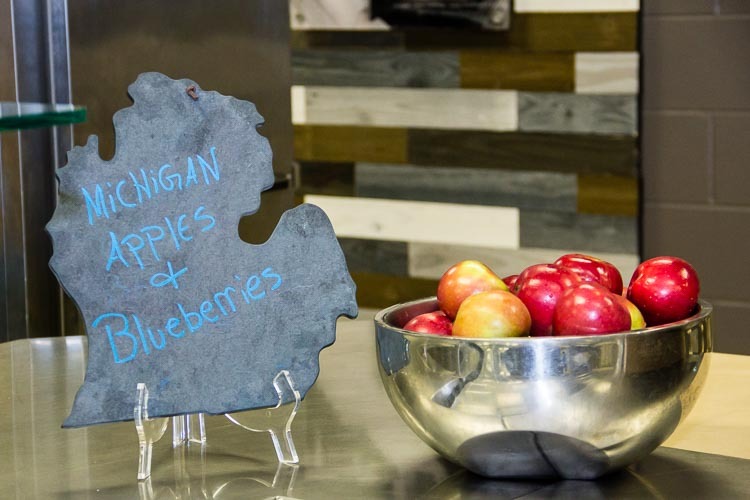 The 10 Cents a Meal program provides grants to school systems willing to match funding of 10 cents per meal to provide Michigan-grown fruit and vegetables in school cafeterias. During the 2016-17 school year, the program provided Michigan-grown produce to 48,000 students in 16 school districts in eight counties through $150,000 in grants. The following year, the program expanded to provide fresh produce to 95,000 students in 32 school districts in 18 counties through about $375,000 in grants. This school year, 134,000 young people in 27 counties and 57 districts will benefit through about $575,000 in grant funding that has been earmarked for awards. Battle Creek Public Schools has been awarded $30,000 in grant funding for the program. 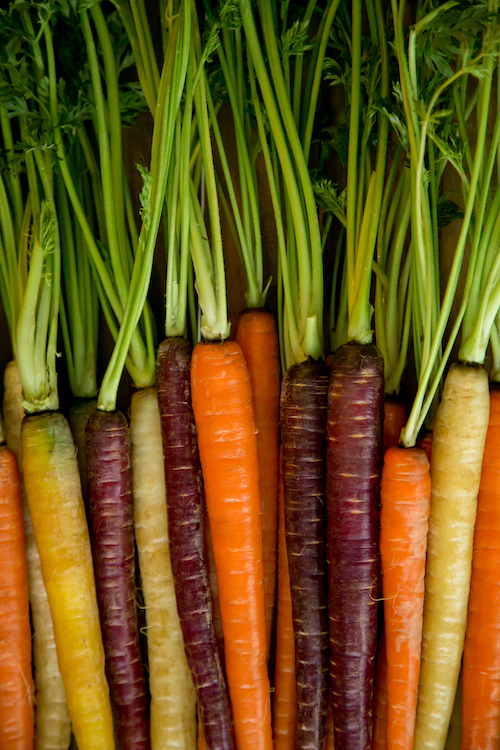 In late October, those dollars translated into that rainbow of fresh Michigan-grown carrots in shades of purple, yellow, and red, as well as the more easily identified orange hue, for a special farmer's market display at Dudley Elementary School. That opportunity for discovery is one of the things Morrissey likes best about the program. "Working in an inner-city district, it gives our students an opportunity to have fresh produce and food they wouldn’t normally see," she says. Dudley Elementary students were given whole carrots to take home as well as sweet potatoes, corn on the cob, spaghetti squash and other fruits and vegetables. 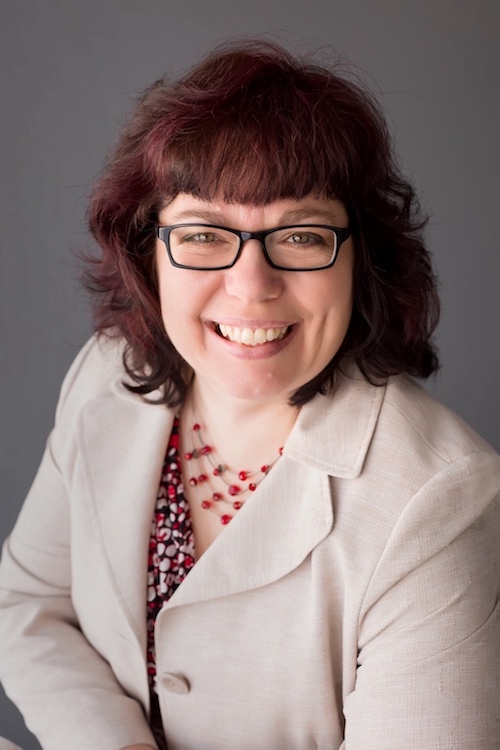 Diane Golzynski is director of the Office of Health and Nutrition Services for the Michigan Department of Education. Working through food distributor Chartwells, Battle Creek Public Schools identifies products from Michigan farms in a 100-mile radius, including those in Sutton Bay, Cedar, Elwell, East Jordan and Coopersville. 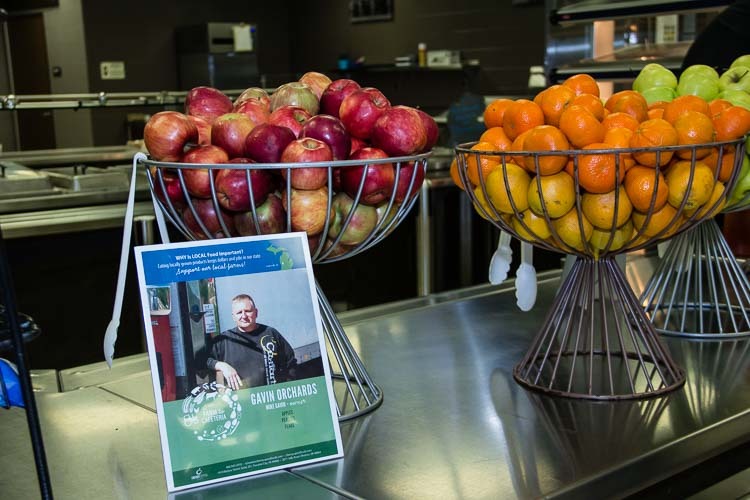 The latter is home to Gavin Orchards, a 240-acre, third-generation farm run by Mike Gavin, whose image appeared on information posted in the elementary school's salad bar area along with his apples, peaches, pears and vegetables. His farm is more than 40 years old and grows a variety of commercial and retail crops. "We try to educate the kids on the process of growing," Morrissey says. October’s focus was apples. November's focus includes carrots. "We would ask schools what was preventing them from buying Michigan-grown products and they would tell us it wasn't convenient and it was more work for them to do that," Golzynski says. "It was cheaper to buy them from whoever their big distributor was." But distributors didn't prioritize Michigan grown products, she says. At the same time, "Our farmers were aging out [of business] and they were opting to sell their land because their children didn’t want to be farmers," she says. The 10 Cents a Meal program benefits local farmers by giving them an additional outlet to sell their produce and it gives schools a healthy option. Working though the Michigan Department of Education, Michigan Sen. Darwin Booher and other organizations, Golzynski helped shepherd the program from a pilot project in 2010 in Grand Traverse County to one that is serving pre-kindergarten through high school students in four of Michigan's 10 economic prosperity zones, regions designated by Gov. Rick Snyder to coordinate investments for economic development and job development. Battle Creek Public Schools, which provides meals to 4,000 students at two high schools, six elementary schools and one middle school, is one of eight school districts in southwest Michigan to be awarded a grant for the first time this year. Morrissey and the district’s 45-person food services staff is expected to match the grant of nearly $30,000 to spend on Michigan-grown produce. Education is an important part of 10 Cents a Meal. Here, students learn about their local farmers. "It's kind of easy," Morrissey says, considering the district was already working to supply more Michigan-based foods and was already spending more than that annually on fruit and vegetables. The program also requires schools to survey students to determine what they like and to collect data on waste, as well as educate students about foods. Battle Creek Public Schools is doing some of that at its cafeteria food and salad bars by providing information about the farms that produce the food. Golzynski says teachers in some districts have made field trips to participating farms and science teachers have incorporated the program into their lessons. Students learn how crops are grown, harvested and delivered to consumers. David Rose, director of dining services for Mattawan Consolidated Schools, is considering the program's educational potential. Mattawan is another district to start the program this school year. "We have been striving to provide our students with locally grown produce for more than five years," Rose says. With money available through the grant, the district should now have the funds to buy foods than many of its students might not otherwise try. "The district serves more than 1,700 meals per day to our students, and we have four suppliers that are providing us with local produce, one of which is a local hydroponics farmer right here in Mattawan," Rose says, referring to Fitz's Farms, a family owned operation that produces seasonal field vegetables as well as hydroponic produce such as tomatoes and lettuce grown in a greenhouse without pesticides or insecticides. It also grows evergreen trees for landscaping and for the holiday season. Although owner Dan Fitzstephens says he is not looking to expand his 8-year-old greenhouse production anytime soon because of the cost involved, he likes the idea of the schools providing more Michigan-grown products, particularly to benefit youngsters who would otherwise go without meals. In 2017-18, students tried 65 new Michigan-grown fruits and vegetables for the first time as a result of the program. School districts in 43 of Michigan’s 83 counties are involved. Schools have purchased a total of 80 products grown by 112 farms in 34 counties. Those sales have provided revenue for 19 additional businesses, such as food processors, distributors, and food hubs. Along with Battle Creek Public Schools and Mattawan Consolidated Schools, the southwest Michigan school districts to win 10 Cents a Meal grants this year are: Bridgman Public Schools, Coldwater Community Schools, Decatur Public Schools, Paw Paw Public Schools, South Haven Public Schools, and Trinity Lutheran School. Photos by Susan Andress. Photo of carrots by Lindsey J. Scalera.